We've been playing with a rainbow theme alllll week around here. 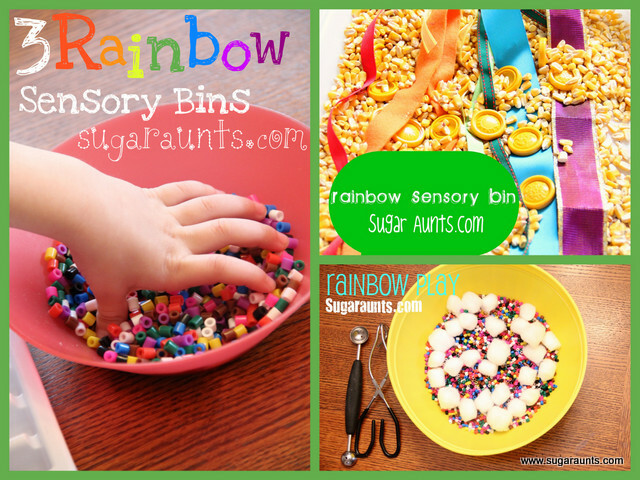 These are three rainbow sensory bins that we have been exploring. I added a couple of pairs of tweezers and an ice cube tray and let them go at it! 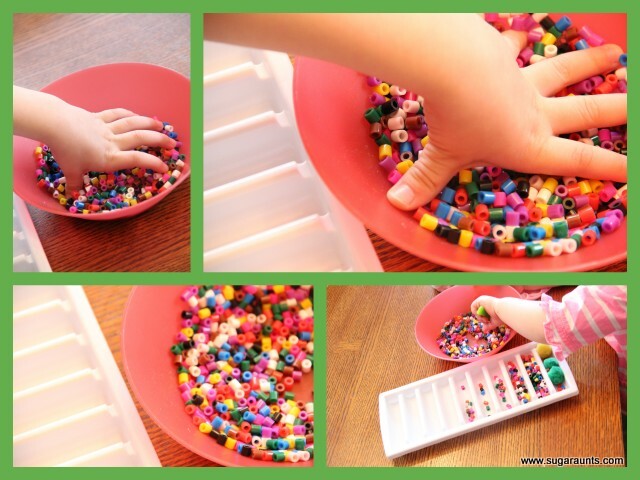 This was a fun fine motor activity, but mostly they just loved running their hands through the beads. Baby Girl loved exploring these little beads. This last sensory bin used the Fuse 'M Beads again. 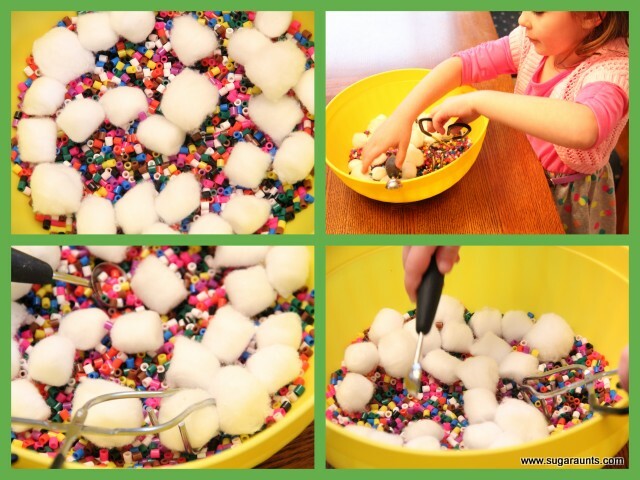 The next day, I put the beads and some cotton balls (clouds) into a big ol' bowl and added a melon baller and kitchen tongs. 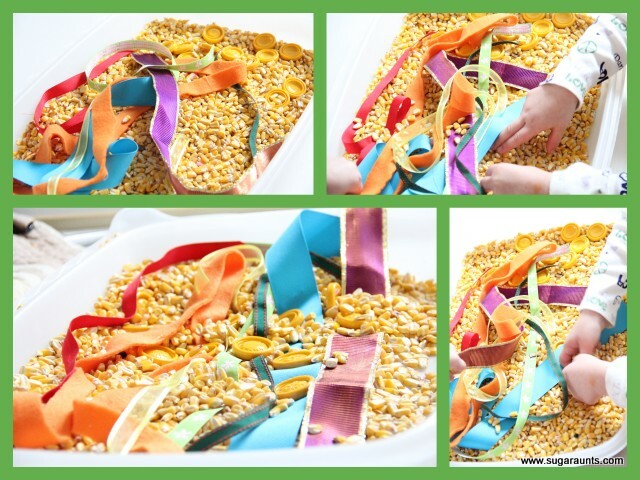 More fine motor skills and sensory play combined into one colorful activity! 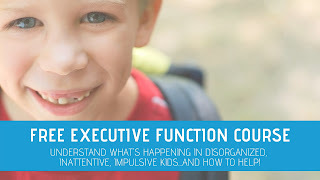 We hope you get some good ideas from these sensory bins. 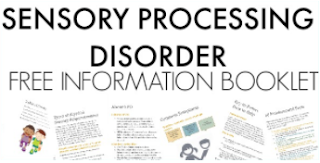 have you done any fun sensory bins recently?